I attended my first British Science Festival when it came to Birmingham in 2010. Having had a great time attending events on my own, and with my children, I was as much inspired by my experience as I was taken-a-back by the lack of diversity at the event. This catalysed my interest in equity and diversity in science, and exploring alternative approaches to public engagement. The underpinning principles of public engagement with science and the breadth of approaches out there are fantastic. However, in our attempts to build an engaged citizenry, we have failed to serve key groups of people and have unintentionally widened the gap between those that engage with science and those that don’t. If we were to ‘map the gaps’ depicting the distribution of informal science activity outside of the classroom, we would see deserts, and hot-spots across the country, confirming what we already know – science isn’t accessible to everyone. My idea is to expand the science engagement sector to include a diverse, inclusive and asset based, leadership model, with the mission to fill those gaps across the country. We must ensure that equity, culture and social justice play a bigger role in the whole process – in particular when granting access to funding, developing leaders and deciding on locations for community-driven engagement. We must keep asking ourselves who is missing? What are their needs, aspirations and ideas, and how can the STEM agenda be creatively utilised to respond and contribute to their priorities? Inclusivity isn’t just about who turns up, or who delivers. It’s also about the content and context. There are already a huge number of committed people leading community STEM initiatives designed around specific audiences, but sadly these initiatives typically receive little, to no, support from the STEM funding sector – this is what needs to change. Reaching new audiences doesn’t require reinvention, but it does require focus on the re-distribution, re-design and resourcing of what we have now, to make it applicable to all communities, so that we can achieve our ambitious goal of science with and for (a diverse) society. 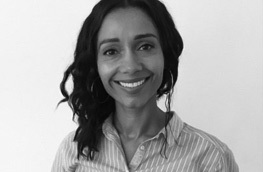 Anita is the Chair of British Science Association’s West Midlands Branch, a Community Engagement Consultant and Director of Community Perspectives (CIC).